You all know I have an unhealthy obsession with masking and you, too, know how I feel about Sisley (who, in my opinion, do some of the BEST masks on the market) - so I thought it would nice for me to speak to the masks that I constantly chat about on my Instagram and that a lot of you have since started using and enjoying. 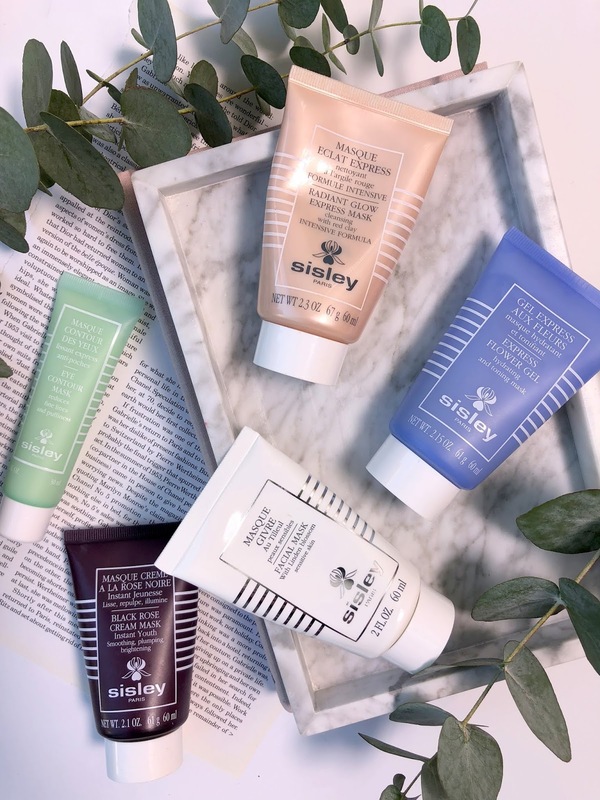 This is the OG when it comes to Sisley masks, perhaps even the OG when it comes to luxury, hydrating masks. I’ve used it for years and this is the only mask I pack on every holiday. It’s all you really need to keep skin plump and happy, especially on a long-haul flight. The ingredients include black rose, vitamin E, chlorella and geranium oil. It has a subtle natural rose scent, which is by far my favourite scent and it promises to plump, brighten and nourish, which it definitely does. I keep it on for a good hour when I use it, sometimes longer. It’s not cheap but it truly is a best seller for good reason. Who knew I needed an eye mask in my life? Not me. My eyes have become a bit of a problem area for me in the last few years. I guess that is your thirties. This mask, however, is all I reach for on mornings when I am darker or puffier than usual on my eye area. Sure, it doesn’t eliminate all your problems (no such thing exists), but it cools, calms and injects a lot of moisture which means that the crepey, creased look that comes with your thirties is vastly improved. It’s a product I wouldn’t do without and a fab one for travel or for that quick pick-me-up before a dinner when you are just looking a tad 'meh'. Plant-origin active ingredients include Ginkgo biloba, Arnica, Horse Chestnut, Linden blossom, a good dose of vitamins (Provitamin B5 and Vitamin E acetate), and oligo-elements (Malachite and Chlorella). I say that the Black Rose is my go-to for travel and by this I mean for the flights and moments of pampering but, realistically our holidays are BUSY. A lot of exploring, missioning and being out and about. I do, however, still love looking my best and feeling indulged so a 3 minute mask, like the Express Flower Gel is amazing. This is 100% coming to NY with me. So quick and easy and plumps things up in two twos. I love how fast this works. I pop this on after a warm shower and in the time that it takes me to get dressed, this mask has worked its magic. Quick and easy. This is your express mask, like the above one, but has a clay base. Red Clay, to be precise. The absorbing power of the clay, in combination with plant extracts (Carrot, Red Vine, and Rosehip) and essential oils (Rosemary and Chamomile) gives the skin a light detox whilst not being too drying. It’s soothing and has the most beautiful pearlescent finish. It can do the job in 3-5 minutes; however, I leave it on for longer if I have more time. This is your go-to mask for sensitive skins. I actually hadn’t owned it before and kind of looked over it, thinking I wasn’t 'sensitive'. My skin, however, went through that overly sensitive period when I first moved to JHB and this became my go-to mask. It is described as a ‘cocooning’ mask and it really feels that way; like your skin is getting a big hug and being softened and relieved of irritation. If you have an overly reactive skin, this is easily one of the most soothing masks out there. So, that’s it. My round up of my Sisley masks which are up there with my most prizes possessions in my beauty collection. You absolutely don’t need them all, but I wanted to give you the low down on each in case you are wanting to purchase one and need help in which will be best suited. Sisley also offer an amazing free service at their counters where they use a skin analysis tool - it's pretty fascinating. I went the other day and was hanging on every word, basically needing every product recommended for me pronto. They are also good with samples if you are keen to try before you buy. Available at selected Edgars stores.